I made this banner some time ago before I had children. It was for an excellent women’s breakfast which was run by Catherine Butcher in Eastbourne. The logo for the project included a red coffee pot. I used to help set up the breakfast and clear up afterwards. Whilst the women were eating breakfast a speaker would talk about their life, experiences and often their faith. 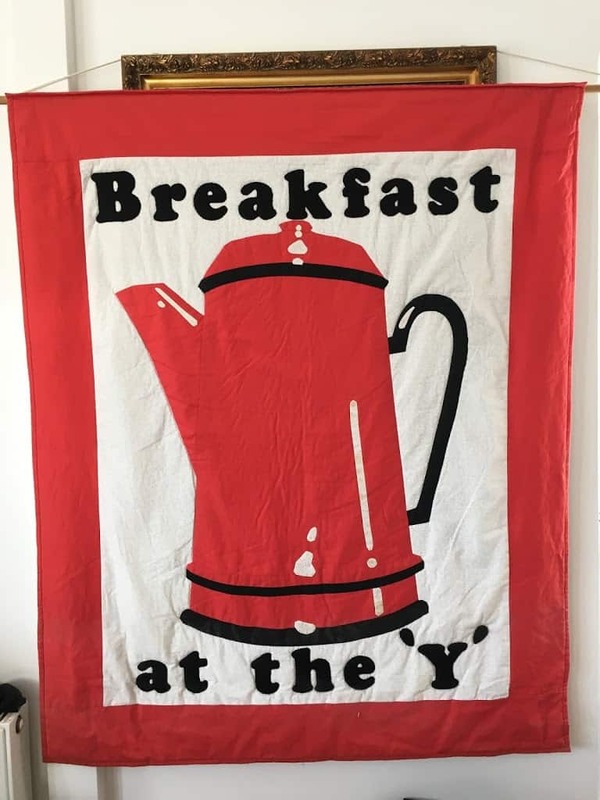 After “Breakfast at the Y” came to a natural close the banner hung in a cupboard for over twenty years. 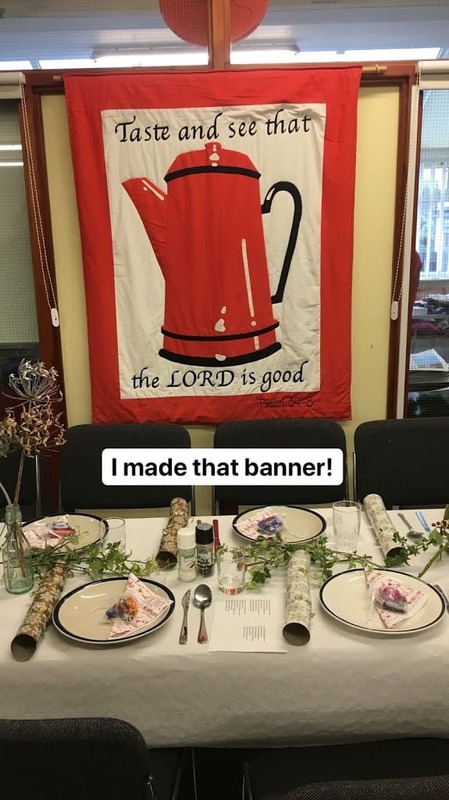 My parents were part of the post-war generation who grew up with rationing and I was raised not to waste anything so I decided to upcycle this banner. The trickiest part of renovating this banner was thinking of new appropriate wording. 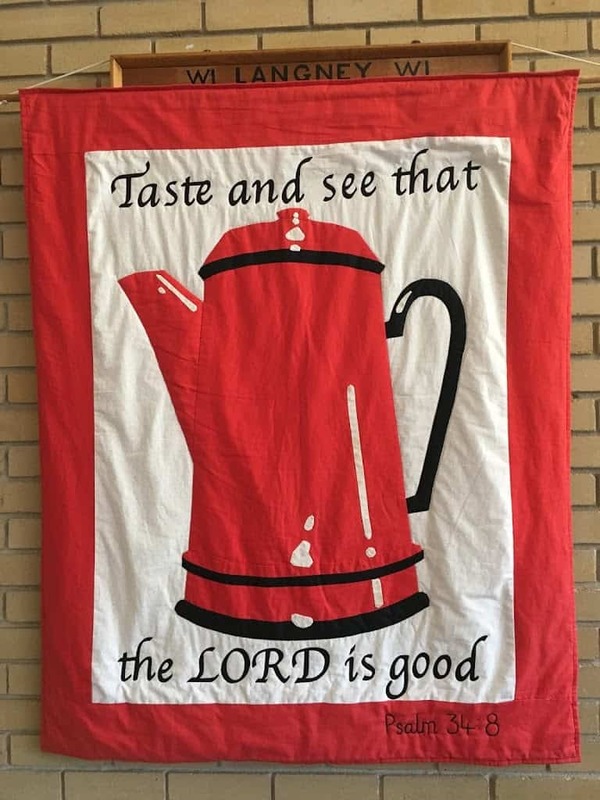 I decided I wanted to use a verse from the Bible, it had to relate to a large, red coffee pot! I chose Psalm 38 verse 4; Taste and see that the Lord is good. A little tenuous maybe? 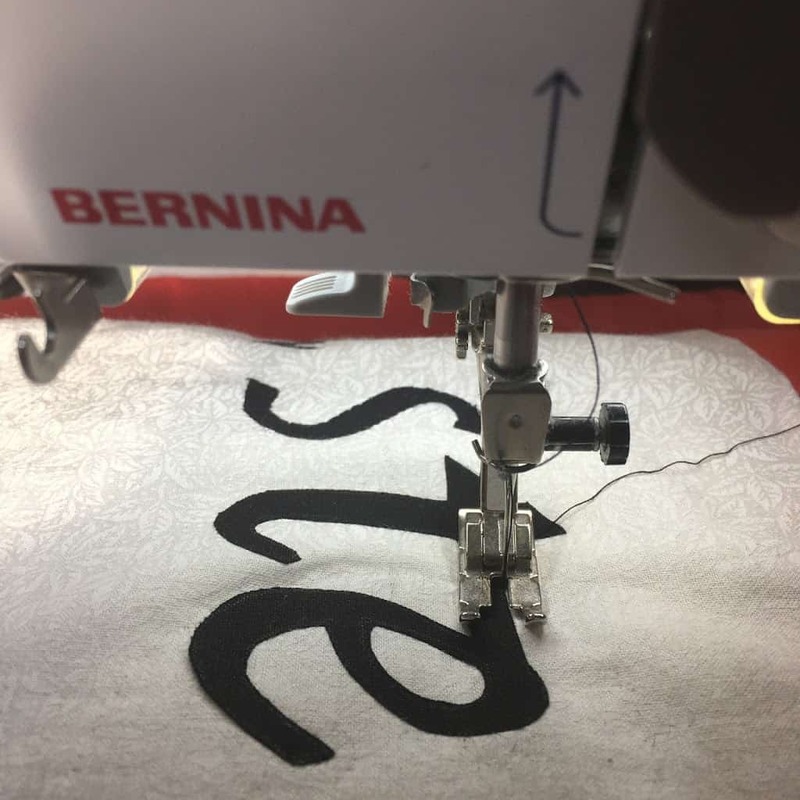 I printed templates, used a light box to transfer the letters on to black cotton fabric, cut them out, bonded the letters on to the banner and appliquéd them on with a machine blanket stitch. 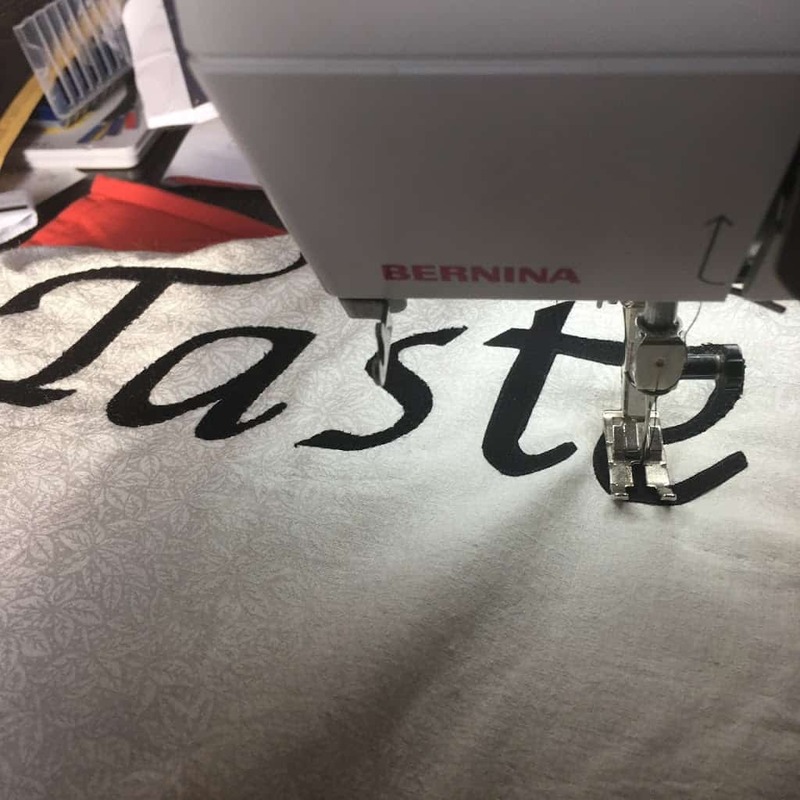 The banner is currently hanging in Communitywise, a community centre, in Eastbourne. 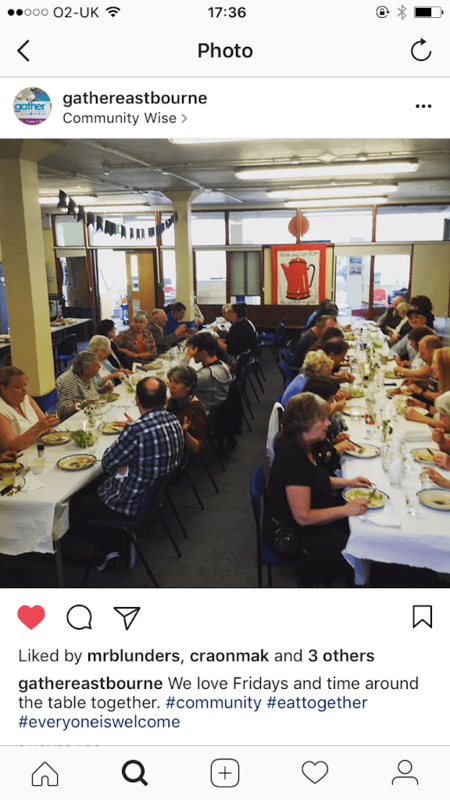 I was flicking through Instagram and I saw the banner in the background of a community lunch. It has a new lease of life! I like seeing this banner when I go to Communitywise, sometimes it reminds me of those times setting up for “Breakfast at the Y” with Catherine, Adrian, Paul and Pauline (who has sadly died since then). Happy memories.